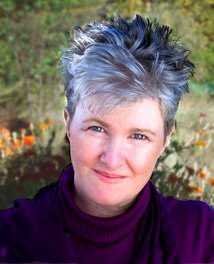 If you're wanting to learn Wicca and are a beginner, you'll be happy to know that there is guidance available for you from one of the most sought-after Wiccan teachers in the world. I've put together a great program to lead you through a First Degree Initiate's training... and well beyond! How Does a Wiccan Beginner Start? You're here because you want to learn Wicca. But the big question is... Where do you start? Buy the tools and then try casting a circle? Read lots of books until you feel “ready”? Find a local coven or group or teacher and learn from them? Which way is better? Whichever way you go, the most important thing is to find yourself a reputable teacher. After all, any training is only as good as the person teaching you, and you want to be sure they have your best interests at heart. can make Wicca come alive for you (rather than it staying a mere toy or intellectual concept). Yes, these people are hard to find. That's why thousands of people like you have requested that I help them to learn Wicca. So I made this course to teach you how to start and what to do. You will learn how to become a Wiccan in this groundbreaking, step-by-step introduction. First of all, a trustworthy teacher who truly cares. You know me from my website (as well as Facebook, Twitter, the Silver Chalice, etc.). 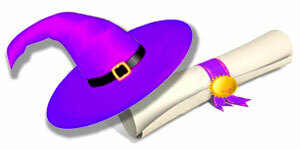 They show the quality and depth of knowledge on Wicca and spiritual development that you can expect from this course. You also know my integrity  my mission in life is to help others reconnect with the Divine. Yes, I need to pay the bills, but with hundreds of pages of ongoing, free information, you know that I'm doing this because I want to help you and to serve the Earth. As you'll see, I've put my heart and soul into this course, so that you will get the heart and soul of Wicca out of it. It leads you by the hand through everything you need to learn, while gradually building up the confidence to trust yourself and fly solo. Third, you're not doing this alone. Every week, you'll hear from me with things to think about, activities to do in the real/magickal world... and inspiration to keep going! How many times have you started learning through a book or something, and not followed it through? That happens to everyone! That's why I keep reaching out to you, week after week for the whole year, encouraging you and helping you continue to see it through. The best thing about this Wicca home study course is that it takes Wicca out of the realm of a head-game and makes it experiential and real. After all, if it's Wicca it's got to be real  Nature spirituality is no place for a lot of academic intellectualising. It's rooted in the real world of bodies and actions. It's your real-life experience of it that counts. You won't just read about magick and think about Deities, you will actually experience them for yourself! Finally, this Wicca School teaches the Wicca Spirituality approach: heart-centered, healing, connected with the Divine, and empowering. It's becoming integrated into who I am, what I'm doing daily, and that's never happened before. It's amazing. I feel a transformation in me when I draw a Pentacle now, and I really feel it. What else does Kaeleigh say about A Year & A Day? And then there's the cherry on top: at the end of the course, you receive a certificate that you've completed what is probably the most comprehensive, in-depth First Degree Wiccan Initiate training anywhere. That's something you can look on with pride! This course is so much more comprehensive than any book on Wicca I've ever seen. It's an interactive way of doing Wicca. I’ve found that a lot of resources on Wicca are passive  you read stuff online or in a book, and then you have to have to take the initiative to try a spell or apply what you’ve read. This course, though, kept prompting me to get ’er done. Every week there’s a new lesson, a sort of “hey, remember this Wicca stuff you’re learning?” reminder, and a new weekly 'adventure' task to play with (because, really, practicing Wicca isn’t homework!). Doing these lessons increases my quality of life. THIS is Wicca for the 21st century. What else does Z.M. say about A Year & A Day? What Happens In Those 53 Weeks? You'll go through all the seasons and each Sabbat with these lessons at hand, showing you step-by-step what you need to do to become a Wiccan. But it's really much more than that. Wicca isn't really about what to wear or say or think or do. It's about your connection with Spirit — deities, the Earth, and the spirit within yourself. That's what it means to become a Wiccan. A Year and A Day: 53 Weeks to Becoming a Wiccan gives you deep insight into the hidden meanings and real power of Wicca. 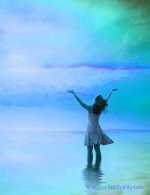 When and how you can bend or even safely break the "rules"
And of course it's loaded with the unique kind of insights and practical exercises that you've come to expect from Wicca-Spirituality.com. The best I liked is Erin Dragonsong's passion for it... her personality that came through in the course made in fun and interesting. And the Wiccan adventures  I loved those. They gave me a chance to plan something my own way, with enough information on how to do it. It put things in my control, and I could do things, and I really FELT something when I did. What else does Morel say about A Year & A Day? I've always been pretty spiritual but I never found something that actually made me feel closer to God before. I'm just so grateful that I've been given the opportunity to discover how my relationship with the divine can be taken deeper, because it's hard to find that kind of thing in society. To find something that helps bridge that gap is fantastic. If you're wanting a quick fix, insta-Wicca, or yet another Wicca book to skim and toss aside, you won't want this course. It's not for dabblers. If you want to understand Wicca instead of merely memorising facts and details, this is the right course for you. If you want to experience Wicca, Divinity, magick, and more, instead of merely reading about it, this is the course for you. 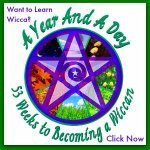 If you want Wicca to become part of your life, part of who you are, instead of just something you think about, then this is definitely the course for you. 53 Weeks to Becoming a Wiccan will empower you to actually be a practicing Wiccan and self-realised Witch. This is a program of spiritual awakening, in a Wiccan context. 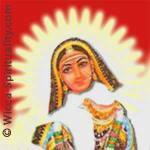 After all, you can go through all the motions perfectly, memorise spells and incantations, do a ritual every day for your whole life… but without the spiritual essence being activated, you might as well do nothing at all. This Wicca home study course is not light-weight. Wicca in my opinion is meaningful, powerful, and transformative. You simply can't get that with insta-Wicca. There's a lot of depth that's possible in Wicca, and that's what makes it so juicy and exciting. I want to share that with you. This IS the Wiccan training you've been looking for. I find the lessons to be really thorough and exciting — they're engaging. Until I started I didn't realise there was so much to learn. If you're just learning on your own or from your friends, there's a lot you could miss. What I tell people is: If you want to get immersed in Wicca and learn at a good steady pace and learn about things you might otherwise miss out on, do this course! So now you're probably wondering about the price. There's a sliding scale to make sure this course is accessible to everybody. And as always, you have my personal promise that if you don't think it's worth that, you can get your money back. I can guarantee this, because I know you'll feel it's worth that, and a lot more. This course is really worth the price: it's like a vacation. You get such confidence and abilities, like a spiritual awakening. It's one of those experiences that changes your life, and how do you put a price on that? And it's not just one experience, it's multiple experiences that keep getting better and better, week after week! So why wait? Click now to get started. You'll be learning everything you need to be a Wiccan really soon!! Like this? Want to share it with the world? to help others find this resource. Thanks so much!